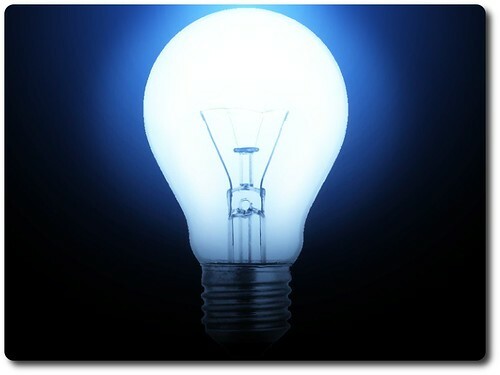 I was playing around with GIMP today and I found a stock photo of a light bulb at www.sxc.hu/browse.phtml?f=view&id=190520. I tried doing things that are beyond my comprehension in a tutorial and ended up with this—it doesn't look anything like it's supposed to. This is the color version. Update 1: This image is scheduled to make an appearance on LivingNow magazine's website (Australia) after April 16, 2009. The story should appear here. 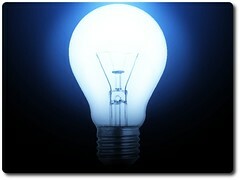 Update 2: This image was used to accompany the article "A Career in the Electric Field Leads to a Bright Future" on May 2, 2009 on the Top Colleges Blog website.